Blue and white has long been an elegant and coveted color combination, and it’s easy to see why! The serene tones of blue mixed with the bright and breezy white add instant style to everything from a striped cotton blouse to a printed pillow. 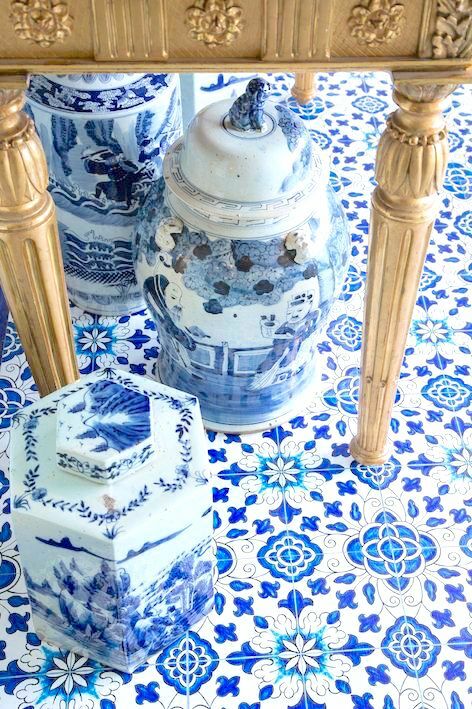 If you pop on over to Pinterest, the mother of all inspiration, you’ll find countless boards dedicated this sophisticated duo, especially blue and white Chinese porcelain. Fast forward to today, and original (if you’re lucky enough to find it!) and reproductions of blue and white alike are just as revered. We are moving into our new house this week and can you guess the color scheme we chose for the interior? Blue and white of course! I have some really special antique blue and white pieces that I can’t wait to display in our den, and I’ll be sure to share some pictures with you all. And so, here are some swoon worthy blue and white porcelain if you wish to re-create this look for yourself. Enjoy!